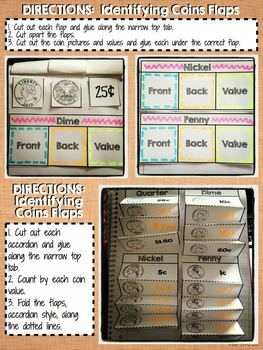 CCSS.Math.Content.2.MD.C.8 Solve word problems involving dollar bills, quarters, dimes, nickels, and pennies, using $ and ¢ symbols appropriately. Example: If you have 2 dimes and 3 pennies, how many cents do you have? 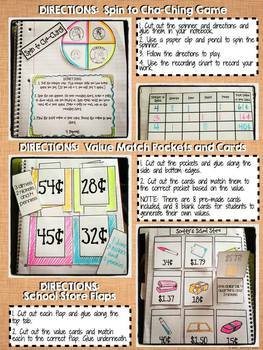 This is a hands-on way for kids to get involved in learning money concepts aligned with 2.MD.8! 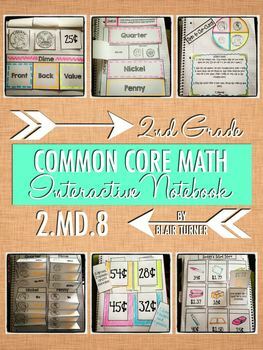 Do you want interactive notebooks for ALL STANDARDS? 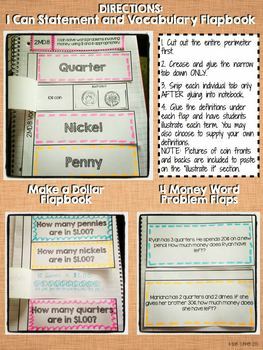 Click here to check out my 2nd Grade INB MEGA-BUNDLE! Materials are intended for personal use in one classroom only. For use in multiple classrooms, please purchase additional licenses.